Toyota Prius, a name that inspires prestige and thrill, is one of the most fuel efficient and luxury vehicles in the country. The latest 2019 version is surprisingly versatile and comes packed with some finest specs, exclusively from the house of Toyota. 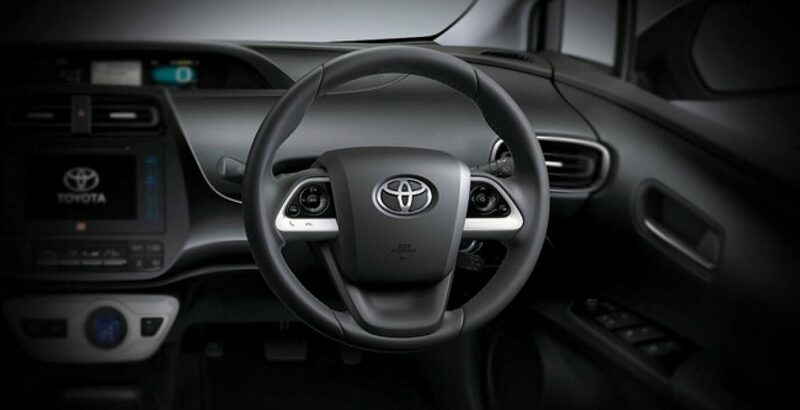 As you bring it home for over half a crore Toyota Prius 2019 price in Pakistan, it will give you almost everything you’ll ever need for a fully equipped and the most luxurious travel with your family. Let’s peruse what’s worth knowing about the car. Following the footsteps of its predecessors, the latest Prius brings the same engine specs for the new year, i.e. a 1.8 L, 4-cylinder engine, featuring 16-valve, Aluminum DOHC technology. Its formidable performance is enhanced by the intelligent Variable Valve Timing (VVT-i). 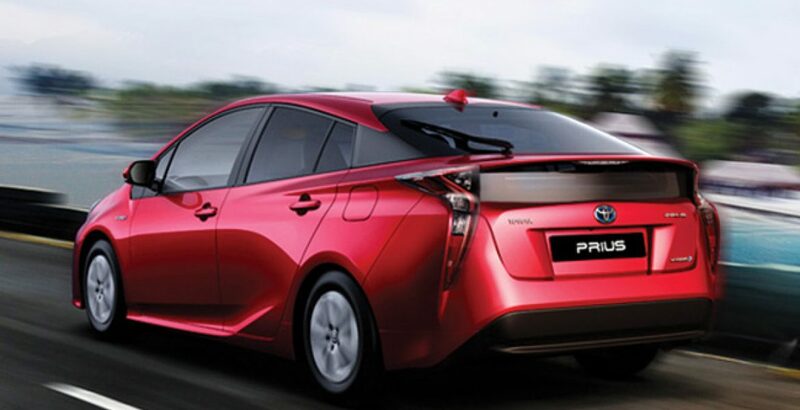 The Prius generates the thrust of up to 95 horsepower @ 5200 revolutions per minute. It means you can run it on rough terrains with equal smoothness and stability as on the highways and motorways. 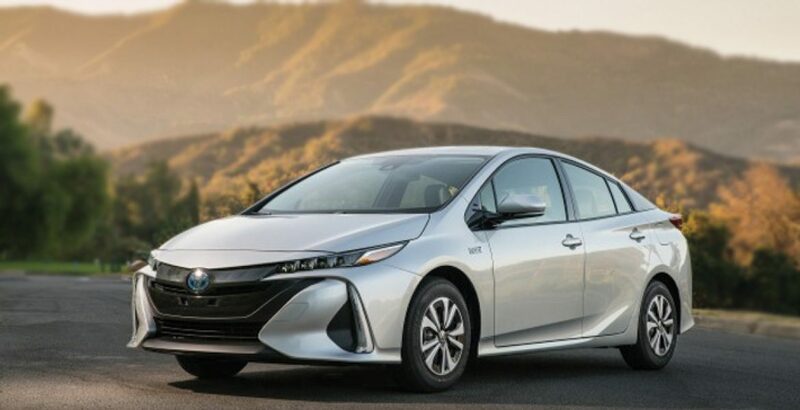 The fuel efficiency of the new Prius 2019 is wonderfully high. Though being a 1800cc car, it gives the fuel efficiency of an 800cc car! Seems incredible? Nevertheless, it can give the mileage of over 54 mpg (miles per gallon) which is equal to more than 14 kilometers per liter.Its miraculous fuel efficiency stems from the smartest tech standards as featured in the car. Tech-rich Dashboard: The tech-rich dashboard brings all the technologies and tools for drive control, drive parameters and entertainment within comfortable reach of the driver. Folding Rear Seats: The seats on the rear are based on a 60:40 folding mechanism, so you can modify them according to your needs at any time.An easy-to-use seatback lever is there to assist you. Multi-functional Steering Wheel Switches: In a bid to provide effortless control, the manufacturer has installed multi-functional switches on the steering wheel. It means you can fully control your ride without ever having to take your hands off the wheel. Auto Speed Control: The built-in cruise control mechanism automatically controls the speed of the vehicle according to the directions of the driver. Put simply, as the driver sets the speed, the system maintains that speed by taking over the throttle of the car. Multi-Information Display: With the multi-information display system, the driver can get valuable information on a variety of systems and functions, like average fuel economy, fuel consumption history, average speed, trip distance, distance to empty, Hybrid System Indicator, energy monitor and the record of ECO savings. Push Start & Auto AC: While carrying an electronic key, you can lock all the doors smartly by gripping the door handle. On the other hand, if you want to start the hybrid system, simply depress the brake pedal and push the power switch. As a part of its climate control technology, the car features the Smart Aircon system which intelligently regulates the temperature and provides maximum comfort to the persons undertaking a hectic travel. 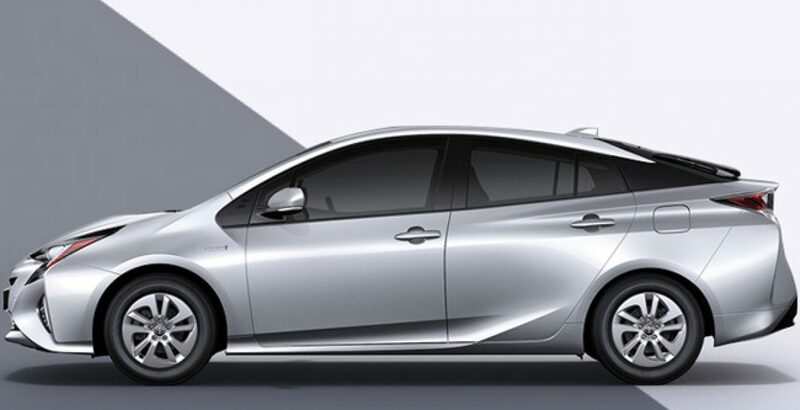 The energetic and distinctive Silhouette Fusing on the exterior renders the Prius a coupe-like appearance. The side creases further heighten the effect and add to its external grace. This energetic styling contributes to the super aerodynamic performance of the car. Meanwhile, the low-slung platform is meant to create a roomy cabin with generous headroom and ample luggage space. Headlights with Enhanced Night Visibility: The stylish and powerful LEDs in the headlights provide enhanced night visibility. In addition, they also give the 2019 Prius a prestigious feel. Daytime Light System: With the daytime running lights and the front fog lamps, the car gets a striking sporty look. The daytime light system has been cleverly integrated into the lower grille to exude an unmistakably sporty look. LED Rear Combination Lamps: The LED based trapezoidal rear combination lamps have got an eye-catching design. In addition to providing excellent visibility in low light conditions, they have been optimized for minimum power consumption. Reduced Air Resistance: Installed on the rear combination lamps and the wing mirrors, the aero-stabilizing fins have been strategically engineered to improve aerodynamic performance by reducing the air resistance. The new Toyota Prius offers a Hybrid Synergy Drive technology which features a compact, powerful and lightweight control unit. This unit optimizes the control of DC current from the battery and AC current from driving the motor and generator. It has the potential to boost the voltage of the battery to a maximum of 600 volts. Significantly reduced in size and weight, the generator comes with an increased output density to make the performance of the luxury hybrid vehicle more dynamic. 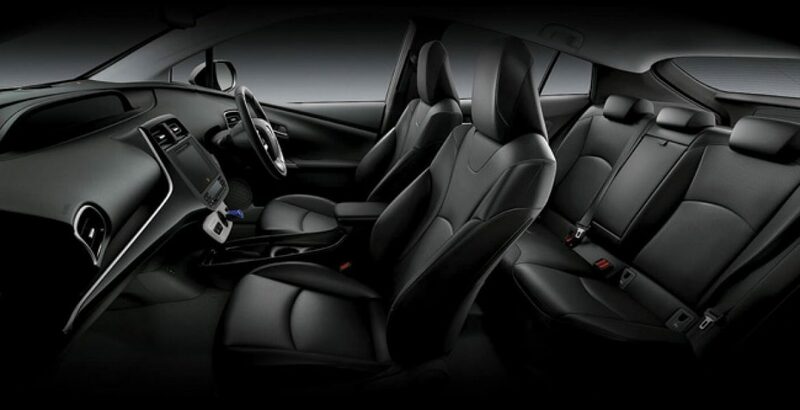 For all-around protection of the passengers, as many as 6 SRS airbags have been installed in the interior. Upon collusion, they deploy in milliseconds and minimize the impact on the travelers. Other sophisticated safety systems integrated into the vehicle include the ABS (Anti-lock Braking System), multi-dimensional vehicle stability control unit, anti-theft system, reverse camera, crash safety body, and the disk-based front and rear brakes. The anti-theft system is based on the immobilizer which prevents the engine from starting unless correct key is inserted. In case of an unauthorized entry, the built-in security alarm system triggers the horn to warn the owner about the unusual activity going on with their car. 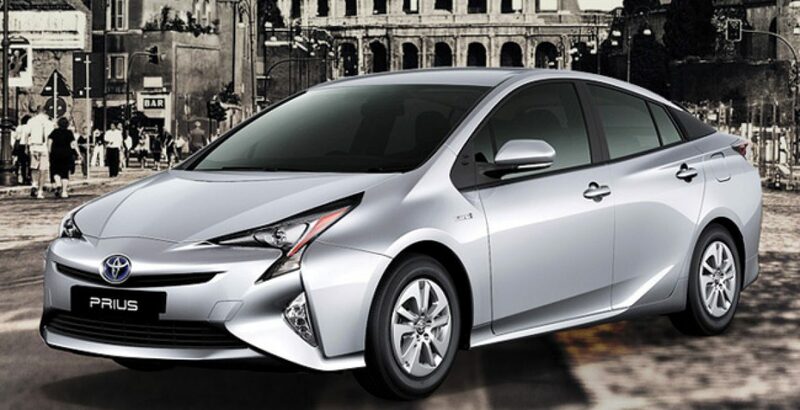 Being an elite class car, the Prius is beyond the reach of ordinary buyers. Regarding the Toyota Prius 2019 price in Pakistan, it is over sixty lakh rupees – a big amount! But you do get the true value for your money.